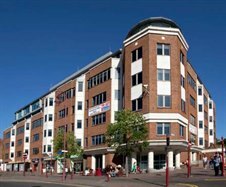 Cattaneo Commercial have successfully concluded the letting of the 5th floor of DST House, St Marks Hill, Surbiton KT6 4QD which comprised 8,832 sq ft of Grade A offices sitting immediately adjacent to Surbiton mainline rail station and enjoying far reaching views over the Borough of Kingston. The space has been let to a UK subsidiary of a well known American cable network. A new record rent was achieved for Surbiton for this high quality office space. If you are looking to dispose of any commercial property, either on a letting or sale basis, please do not hesitate to contact Andrew Armiger on 020 8546 2166.